One of the most amazing places that you can go to is New Zealand. It is not only because the country has a nice weather, but also of having friendly people. It is even more appealing because you can experience a pizza delivery by making use of drones. This is how advanced they are that offers people a convenient life. Flirtey, a drone manufacturer, had collaborated with 7-Eleven for them to make a history in Nevada wherein a drone was used to deliver Slurpees and family donuts for the first time. 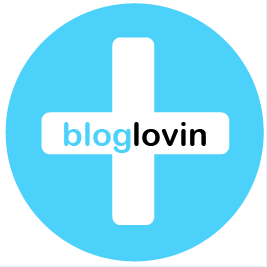 This is something that Flirtey had been working on for a while. From that very moment, it is already expected that sooner or later this idea will be used for pizza delivery. 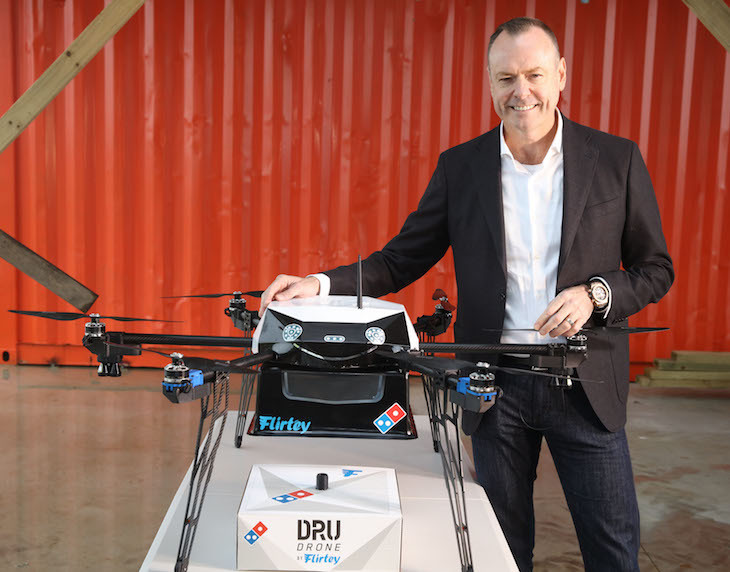 It actually happened in Auckland New Zealand where drones are used for the first autonomous pizza delivery. This is something that other countries surely want to try. 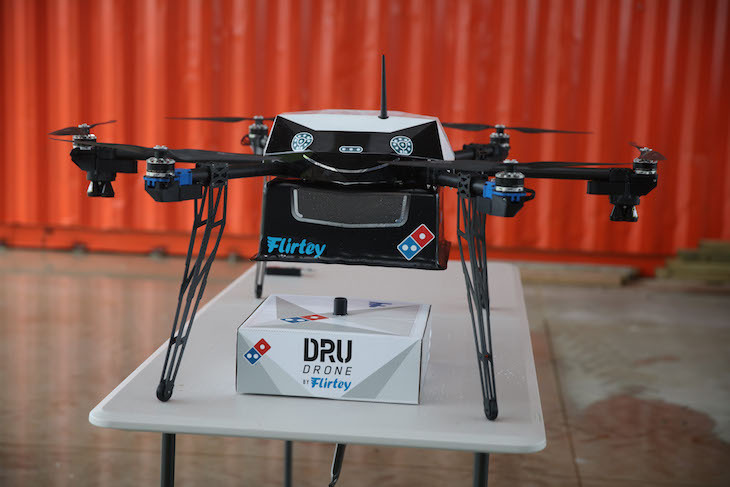 This had taken place because of the joined effort of Domino’s Pizza Enterprises and a drone manufacturer. The demonstration of the flight was performed in accordance with the Civil Aviation Rule Part 101 wherein the Civilian Aviation Authority in New Zealand had partaken in together with Simon Bridges, the Minister of Transport. 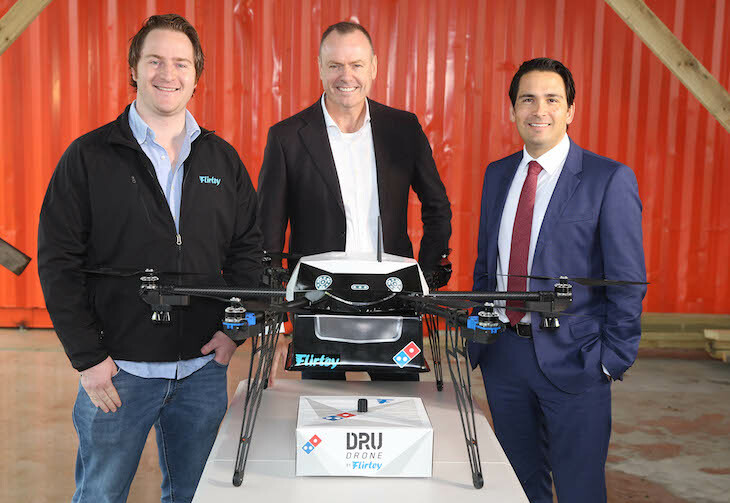 This was the final step for Flirtey to get the approval to start using drones for pizza delivery in New Zealand. In order for Flirtey to keep them updated about operating commercial drones, they have worked directly with the Federal Aviation Administration. They will look for drone operators and engineers for New Zealand and in the United States. 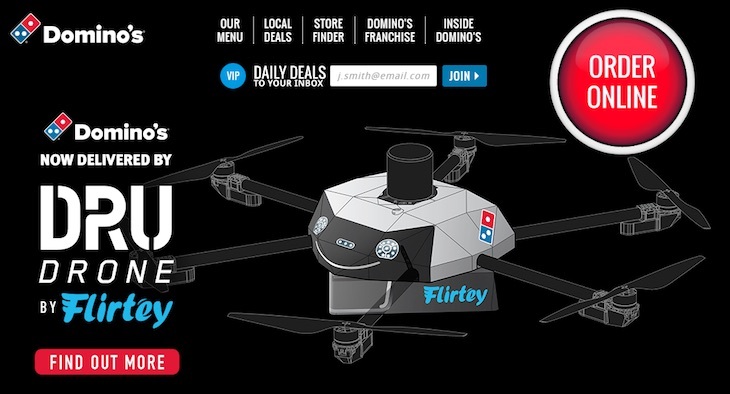 This is a sign that the US will also experience drone pizza delivery in the near future. During the demonstration, Flirtey has shown that they can deliver pizza to residential homes safely and efficiently. They have a special packaging in order to keep the pizza hot and fresh while getting satisfied with its taste. Domino’s was, in fact, developing DRU or the Domino’s Robotic unit which is a robotic ground for the delivery service. Though it was not yet commercialized, the company was serious about becoming the forefront for the delivery-tech in the next generation. They have created the delivery drone by using 3D printed parts, aluminum, and carbon fiber. As soon as the drone reaches its destination it will lower down the pizza or the Slurpees together with a tether. The drone has its safety features that are built inside it that include the auto return home if ever that the communication was lost or the GPS signal is low, and also a safe location return if ever that the drone no longer have a battery. Flirtey is focusing on two areas, New Zealand and the US wherein they have already hired Samantha Sharif, former CEO of the Aviation New Zealand to become a part of the Flirtey board. Later this year, the partnership between Flirtey and Domino’s will expand that will result in regular deliveries of pizza to residential homes in New Zealand. This will start with a single location of the Domino’s that will spread out later on.